Do you ever feel as if your short game is one-dimensional, like you know how to get the ball onto the green and near your target, but not much else? Pitching versatility is one of the components of a good short game that separates capable golfers from great golfers. But how can you become more versatile with a wedge in your hands? According to PGA Professional Robert Smith, it helps to imagine your swing path like the points on a clock. In this quick lesson, Robert teaches you how to utilize the clock method when playing your shots around the green, and demonstrates some simple golf techniques that make you more versatile and accurate with your wedges. The key to proper pitching arc is perfectly complementing swing speed with swing size. 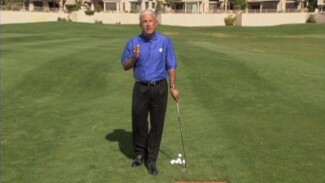 To demonstrate this idea, say you want to pitch your golf ball 10 yards. What’s the normal way to do so? Well, typically you might use your medium swing speed, which we’ll call 3rd gear, and you take the club back to about 7 o’clock. That’s one way, but what else could you do? What if you slow your speed down to 2nd gear and rotate your club to 8 o’clock. This will increase the trajectory of the ball, but still generate enough power to send the ball 10 yards. Or what if you slowed way down to 1st gear and rotated to 9 o’clock. 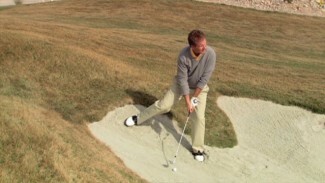 This will probably lead to the same result, but your ball with fly higher and roll less, sort of like a flop shot. Toying with your golf techniques like so allows you to become more versatile with your wedges, and should help to eliminate unnecessary two-putts and, inevitably, lower your score. 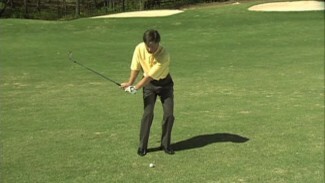 Take advantage of expert tips and golf practice drills like this, and check out all golf tips that are in our library. Incorporate some of what you learn, and we guarantee you’ll become a better and more confident golfer!